This two part post was spurred on by the first #K12ArtChat of the new year hosted by Nic Hahn, @MiniMatisse, on the topic of stop motion animation. The timing of the chat could not have been any better. Since, I am currently teaching stop motion animation to my middle school students. The chat was active with both teachers who have done stop motion animation for many years, and beginners. Answering the chats questions, and commenting on others tweets inspired me to teach my students the magic of stop motion animation. It also made me realize that there are many different ways to teach stop motion animation. In this post, I focus on how I introduce stop motion animation, and the pre-production process. On the first day of our stop motion animation lesson, I ask my students to form into groups of three. I have the groups answer questions about stop motion animation, based on their previous knowledge. After ten minutes, I have a spokesman from each group report out the answers to the questions. Since I teach middle school art, most of my students have a go od understanding of what stop motion animation is, and how it is created. I usually end the introduction day by playing a few short stop motion animation videos. Quick Tip #1 Show a wide variety of videos. Professionally made stop motion animations are great for highlighting the great visual power of the medium. It’s also important for students to see that the things they see on TV, and in the movies are created by artists. It’s important to reiterate that they get paid to do this, and it’s their job. Showing too many pro examples can easily intimidate your students. Mix in a few student made videos that previous students created. Students will feel more confident in their exploration into the world of stop-motion animation by seeing student made examples. Leaving them with the mindset that they can do this, maybe even better than the ones they just watched. Day two begins with the pairing up of students. I find that groups of two work best for stop motion animation. After the groups have been made we discuss as a class the reasons stop-motion animations are made. Stop motion animation can be created as a form of entertainment, to teach what you know, to tell a story, to call attention to a problem, or as a piece of artwork. Students now have multiple avenues they can go in brainstorming ideas for their stop-motion animation short. I ask that each group write down at least four ideas for their animation, ultimately choosing one for their project. Quick Tip #2 State your stance on violence. Let it be known from the start where you stand on this topic. Before students begin brainstorming ideas for storylines make is clear what is acceptable and what is not. Once students decide on an idea they share it with me and together we find the best type of stop motion for their story. The four types of stop-motion animation we use are white board, object, cut-out, and clay. Quick Tip #3 Limit the types of stop motion animation. 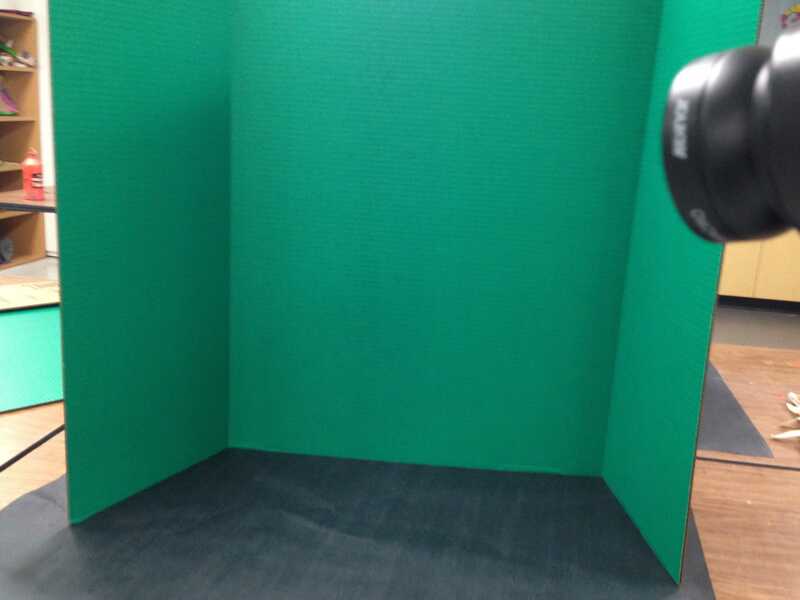 If you are new to stop-motion animation it would be a good idea to start small and limit the materials students use. I would suggest beginning animators use object stop motion animation. The beauty of this type of stop-motion animation is that students can animate almost anything around them. There is no need for students, or teachers, to buy expensive materials or toys. 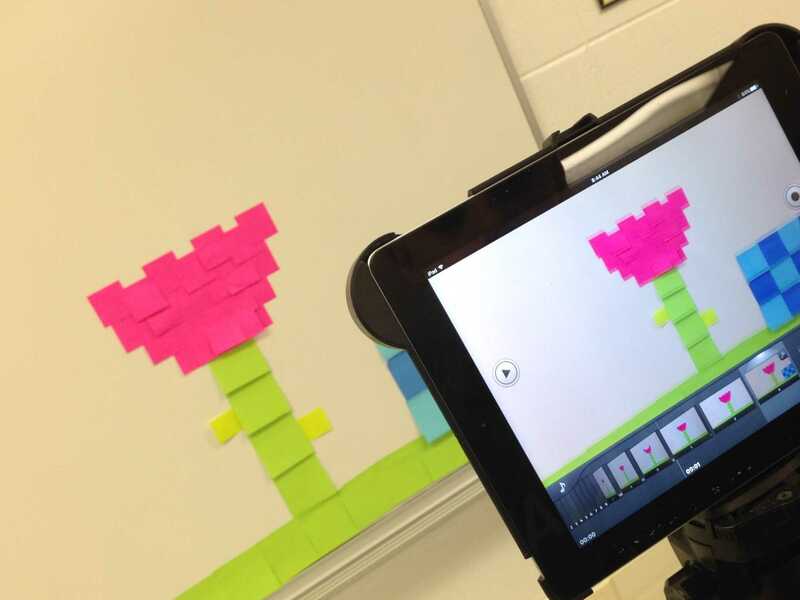 Everyday objects you find in any classroom can become stars with stop motion animation. Now that students have a written story and decided on the what type of stop-motion animation they will be using it’s time to visually plan animation. At this point of the lesson I cover the basic camera shots and angles of film. I sho w short clips of animations focusing on the main camera shots and angles: long shot, medium shot, and close up, eye-level, overhead, and low angle. Quick Tip #4 It’s worth the time to teach camera shots and angles. Students, for the most part, know what these terms mean and look like. The vocabulary isn’t difficult and it’s easy to remember. Most of all, using different camera shots and angles will make their stop motion animations more interesting to the viewer. Teaching why and how the camera shots/angles are use shouldn’t take much time and it nicely transitions into learning about storyboarding. A storyboard visually tells the story panel by panel, like a comic. Each group will use their storyboard as a roadmap to film their stop-motion animation. I have my students draw six to nine boxes in their sketchbooks to use as storyboard panels. They focus more on what camera shot/angle is being used in each panel and less on how well their storyboard is drawn. Quick Tip #5 Don’t rush through the storyboarding process. Next up, part two! Production and Post-Production.